The order for next week’s NAB AFL Women’s Draft has been finalised, with compensation for injured and unavailable players now included. Carlton received pick 42 as compensation for Sophie Li moving back to Adelaide due to her work commitments as a paramedic. The Crows were allocated selection 53 as compensation for the unavailability of Jess Allan (work commitments/army) and Ruth Wallace (family reasons). On Friday, the Blues officially committed pick 16 to midfielder Abbie McKay, the competition’s first father-daughter selection. 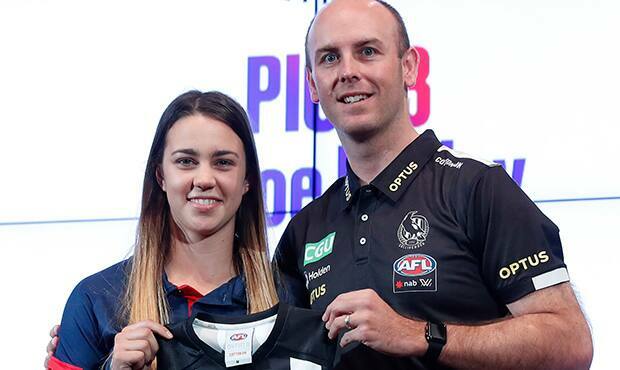 Collingwood was given permission to make two pre-draft selections, as cover for Chloe Molloy, who will miss the season with a right foot injury, and to compensate for the large number of experienced players lost to other clubs. Sophie Alexander (pick 29) and Erica Fowler (70) played with the Magpies’ VFLW team this year and were pre-selected last Friday. Each team can sign 28 primary listed players plus two cross-code rookies, with the rookies already locked in. Clubs can choose to pass on their final picks if they wish to sign a player from another state as a free agent, as was the case when the Western Bulldogs signed West Australian Rachel Ashley last year.